Crouching Tiger Hidden Dragon was an instant classic, one of the rare few movies that did change my perception of what movies can be. 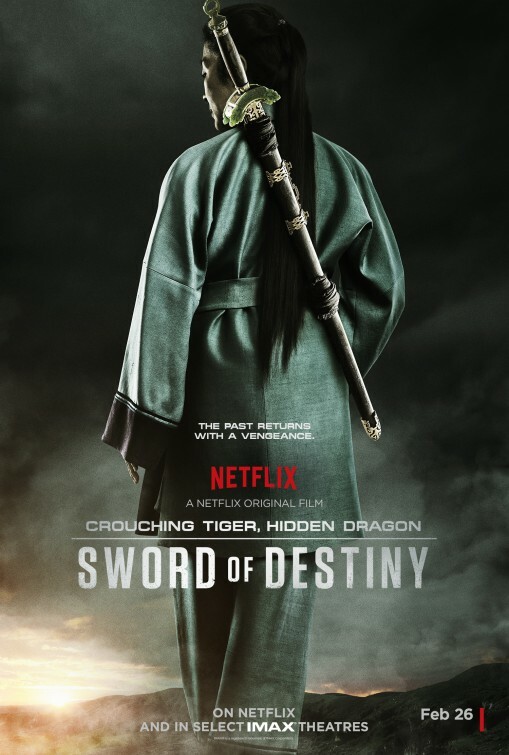 Naturally, I was curios when I learnt Netflix has a sequel in its archives, Sword of Destiny. Even if Ang Lee was no longer directing and Chow Yun-fat no longer starring, it was still of much interest; besides, Michelle Yeoh is still around. One thing that’s immediately clear is that Sword of Destiny is no Hidden Dragon. For a start, it capitulates in the form of speaking English. Yeoh is at its centre, with the theme of missed love repeating itself in a story of her character’s other love (the one that turned out to be second to her love of Yun-fat’s character). So yes, we are talking classic sequel material here. There is less of that poetic sense to the movie and quite a lot of the fighting that, by now and to these eyes, does not seem as majestic as is did more than 15 years ago. I would say the movie overall does not look as good as the original, too. Overall: “Not as good” is the key theme here, I guess. Sword of Destiny isn’t a bad movie at all, but it is simply not as good, begging the question - why bother in the first place? 3 out of 5 crabs material that occasionally reaches higher grades.